What's on in the North East this Autumn? 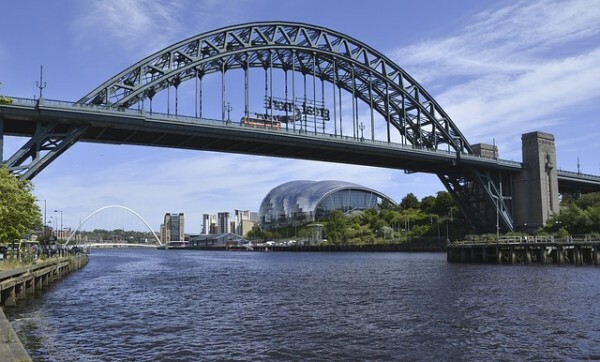 Summer may be over, but there are still plenty of events here in the North East to enjoy. Hedgefield House, with its luxury accommodation near the heart of Newcastle, is perfectly situated to take advantage of all that this exciting area has to offer. At the Laing Art Gallery in Newcastle, new and established works by painter and sculptor, Glenn Brown, are featured in the exhibition Glenn Brown: Fantasy Landscapes, Portraits and Beasts. Brown, born in nearby Hexham, is known for his unique take on historical references in his colourful paintings. The exhibition runs until October 21st. For those of a more scientific bent, check out Robots – Then and Now at the Centre for Life. This guided tour through the history of building automated machines also features many robot-themed activities for the whole family, including the chance to build your own robot out of recycled material – this event runs until December 2nd. In Sunderland, just a short hop from Newcastle, the seaside will be transformed by millions of lights in the Sunderland Illuminations, every Thursday to Sunday from 18 October to 18 November, plus every night of October half term. These fantastic light art installations are accompanied by fairground rides, quality dining options, and an illuminated observation wheel at Cliffe Park. Further afield, an hour by express train will take you to York, where you can take in the sights, visit the shops, and see Dracula: The Bloody Truth at the York Opera House. This smash hit comedy takes you on a tour from the mountains of Transylvania to the seaside town of Whitby and beyond – a perfect Halloween getaway. Wherever your fancy takes you this autumn, Hedgefield House is a perfect choice for your holiday. We offer luxurious, relaxing accommodation in a convenient location for all of your adventures, in the North East of England.